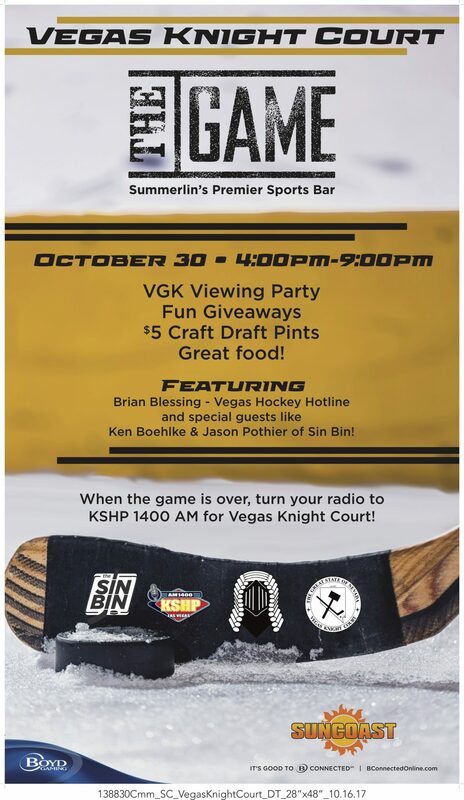 Come out and watch Monday’s game with the SinBin.vegas crew, Brian Blessing, and special guests. We’ll be at The Game inside the SunCoast Hotel and Casino. Puck drop is at 4:00 we’ll be there before the game, and we are planning on staying late to watch the late night hockey games as well.